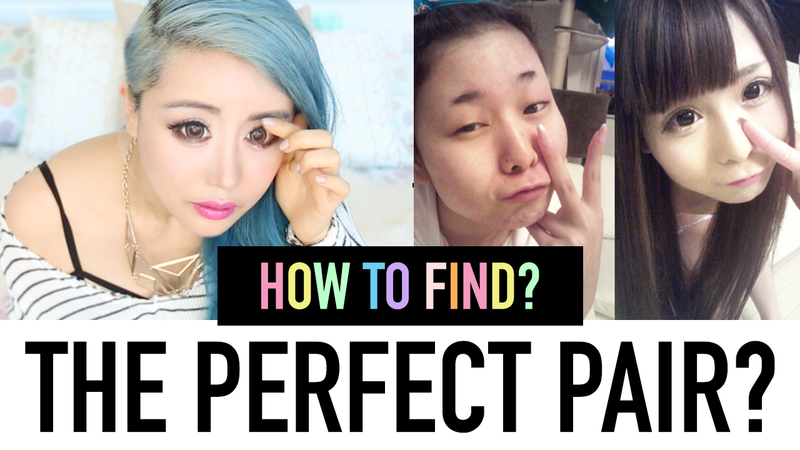 This is a huge FAQ on how to choose and buy the right circle lenses for you. In stores these days there are so many different types of contacts so here is a guide on what to look for. I also share if circle lenses damage your eyes and review the health risks and dangers of circle lenses for your eyes. You can get lenses from 13.8 mm to 15 mm these days and that’s a huge range of sizes! The right size depends on that look you’re going for. Do you want an enlarging effect or something close to your eye size? The larger you go the less of the “white” of the eyes you’ll see giving you a more dolly effect. by the time you get to 15 mm you’ll look very wide eyed. Not everyone likes this look so it’s really personal preference. It also largely depends on the original size of your eye as well – we are all born with different iris sizes and also have differed shaped and size eyes so some eye shapes may not accommodate the 15 mm without it looking very large and some may look fine with it. The design is perhaps one of the most important factors. 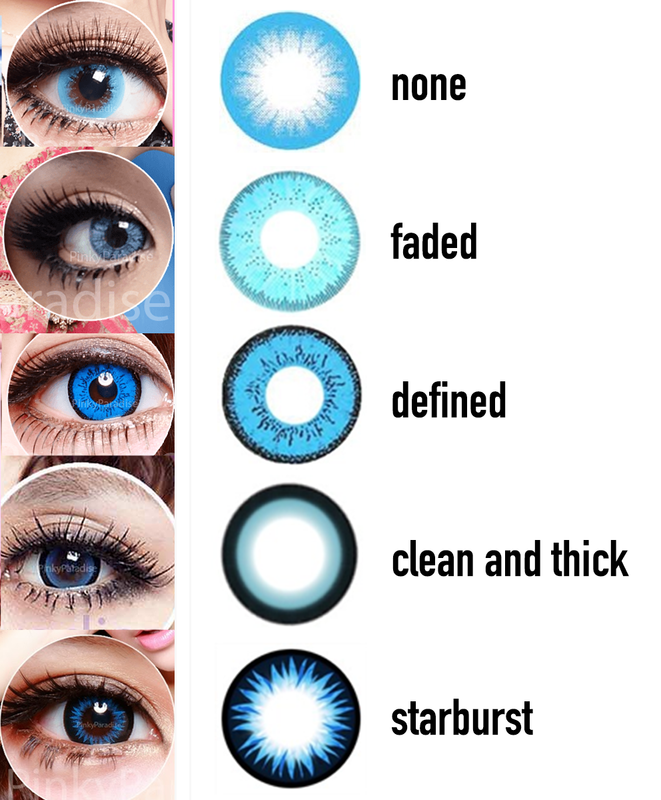 Do you want colored lenses or lenses that look like your natural eyes but better? Do you want 1 tone, 2 tone or 3 tone lenses? The more tones on colors like blue, grey and green the more natural it looks since these colors natural have color variations. One tones look great in brown and black colors and are more to add a definition to your natural color (mainly brown eyes) for an enhancement. Other than that one of the things you’ll need to think about is the limbal ring which is essentially the black ring around the eye. Different designs give your eyes a totally different look. One of the make or break factors for me is really the comfort. What’s the point of having a lens that you can only wear for half a day? I hate changing into glasses halfway and just want the ease of being able to wear them all the time. This for me is huuge – but some people may be happy to only wear contacts when they go out so it’s really up to you. In addition dry contacts may mean more eyedrop sessions that could ruin your makeup. The water content plays a huge part in this and also you honestly just need to try them on or read reviews. If you want a safe bet try lenses that are either 1 day, fortnightly or monthly since they are usually designed thinner and therefore more breathable. Also lenses that are small in diameter tend to cover less of your eye and may let it be less dry. Generally circle lenses are made in a yearly way however this usually does not take away much from comfort as I can wear my favourite lenses the whole day without too much discomfort. Although on the 12 th hour they might get dry – but this is also without any eye drops during the day, so they are doing pretty well. It’s honestly so personal because I find some people have super sensitive eyes that can’t even wear contacts and some can wear any type of contact and have no issues. Can’t explain why though. Maybe it’s just what you’re used to? There is a myth going around that circle lenses stop oxygen from reaching your eyes and are extremely bad for you. I’m happy to say that circle lenses have come such a long way and there are so many safe and comfortable lenses on the market. Tip: Look for FDA and KDA approved lenses! So in the comments section you requested to know how to clean contacts! Well cleaning circle lenses isn’t any different to cleaning normal contacts! You basically should find a multi purpose storing solution which both cleans as it sits in the solution. You can ask your chemist for this. When you first open your contacts you should soak it for 8 hours minimum in this solution before use. I usually shop at PinkyParadise since they have a very easy to navigate site and also reliable shipping and they also carry genuine product (be careful of fake GEO’s etc). A bonus is also because you can search by colour, diameter, usage times, prescription, astigmatism, cosplay and more. My current faves are because of the design and the comfort!! Super comfy! They are yearly’s! There are live examples of me wearing it in the video too. These are it in brown! Very natural!! I hope you found this information helpful :)! If you did please give my video a thumbs up :D! !